Generally CTP is compatible with all SOAtest 9.9.x and 9.10.x versions. What specific version of CTP do you have? You can find version details under the top menu Help > About. Can you also check the version of the SOAtest server that is connected to CTP? 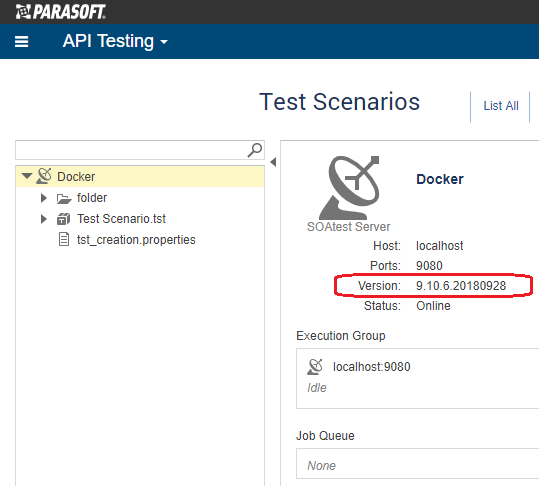 Go to the API Testing > Test Scenarios page where you upload your .tst files. Select the top node in the tree on the left and look for the version information displayed in the center panel. It should look something like this. You do not necessarily need to upgrade your CTP, but you must upgrade the SOAtest server that is connected to CTP to be greater than or equal to the version of the TST file that you want to upload. In your case this is SOAtest version 9.10.5. FYI, the latest versions available at the this time are CTP 3.1.2 and SOAtest 9.10.6.